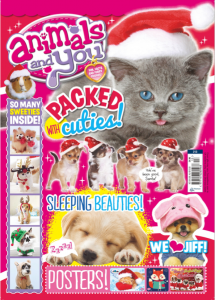 The Christmas issue of Animals and You goes on sale today – yippee! 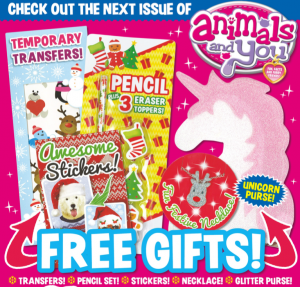 It’s packed with festive fun and fab free gifts, like this sparkly unicorn purse and pretty reindeer necklace! Totally adorbs! Get your paws on a copy today!